I planned to attend two nights but, because the final Saturday night sold out, I've only been able to get in one night of deepest, darkest noir so far this year. Wednesday night, January 31, opened with Michael Curtiz's The Unsuspected (1947), introduced by Alan K. Rode, author of the new bio, Michael Curtiz: A Life in Film. The Oscar-winning Curtiz, director of scores of classics, launched the career of Errol Flynn in the '30s with films like Captain Blood (1935) and The Adventures of Robin Hood (1938). He won a supremely well-deserved Academy Award for Casablanca (1942) and was nominated for Yankee Doodle Dandy in the same year. Oddly, though it brought Oscars to others and was even nominated for best picture, Curtiz's noir masterpiece, Mildred Pierce (1945), did not bring a nod to its director. The Unsuspected is not in the same league as Mildred Pierce. With a sly and villainous radio star (Claude Rains) at its center, the film echoes a bit loudly of Otto Preminger's Laura (1944), but is not in the same league as that film either. According to Rode, Curtiz had hoped to cast Dana Andrews as the leading man opposite Joan Caulfield, and had wanted Ava Gardner in the supporting role of Rains' wayward niece. Gardner's intended part eventually went to Audrey Totter, who all but steals the picture (but who can steal a picture from Claude Rains? ), and the leading man role went to a Curtiz discovery, Michael North (also known as Ted North), whose film career ended with The Unsuspected. Constance Bennett, as Rains' Eve Arden-ish assistant, sashays and cracks wise marvelously throughout. The plot is convoluted, there are a few characters too many, and the run-time is overlong, but it's a film worth seeing, mostly for Rains, Totter and Bennett, as well as the cinematography and production design. 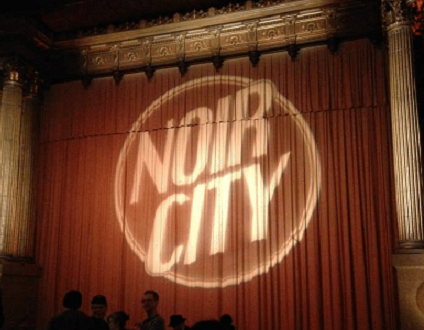 Upcoming Noir City fests are slated for Seattle, Feb. 16 - 22; Denver, March 23 - 25; Hollywood, April 13 - 22; Austin, TX, May 18 - 20; Boston, June 8 -10; Chicago, Aug. 17 - 23; Detroit, September dates TBD; Washington, D.C., October dates TBD. 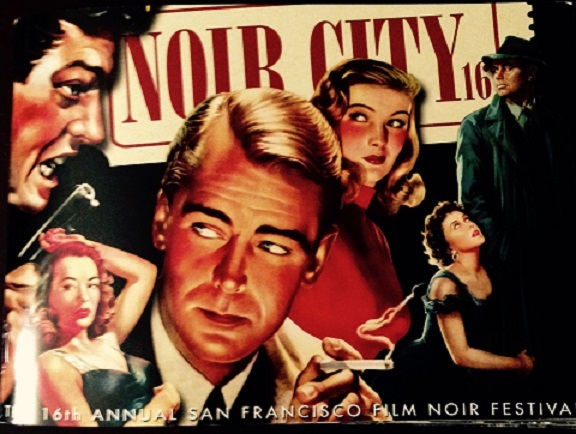 Back in San Francisco, from March 23 - 26, another noir-leaning series is in the works. 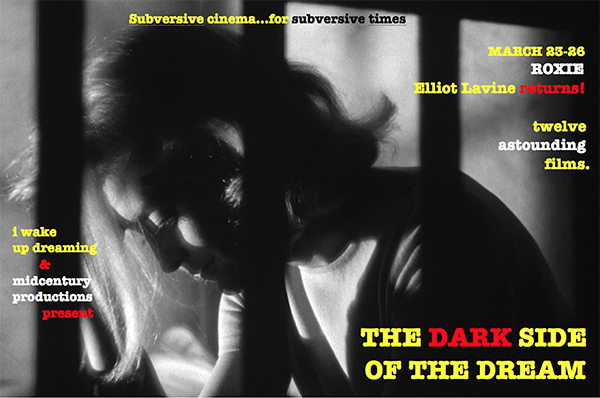 The Dark Side of the Dream will feature classic Hollywood films that expose the dark side of the American dream. Veteran programmer Elliot Lavine will co-produce the 12-film event with Don Malcolm's Midcentury Productions at the city's Roxie Theater. Films featured will include Robert Rossen's Body and Soul (1947), John Huston's We Were Strangers (1949) and Elia Kazan's A Face in the Crowd (1957). Films by William Wellman, Frank Capra, Joseph Losey and Sam Fuller will also be screened. More coverage on this series of "subversive cinema...for subversive times" will be posted here soon. But wait, there's more noir! Also coming to California, but toward the south and east (and dry) is the annual Arthur Lyons Film Noir Festival in Palm Springs. This year the event will run from May 10 - 13 at that city's Camelot Theatres. Tickets go on sale April 1 and more information will be available soon. Click here to go to the festival website. Attending film festivals could be a full-time job! I enjoy The Unsuspected a little more each time our paths cross. I live for the bit where Audrey Totter says of Joan Caulfield, "She drank too much milk and her seams were always straight." For me, Audrey Totter and Constance Bennett were the highlights of the film. Looks like your schedule is going to be full! A Face in the Crowd is a film I like more and more each time I see it. Way ahead of it time! Yes, the film noir revival has been around for a while, but I think it's in the process of getting a second wind thanks to the current political climate. Happy about the burgeoning of noir festivals, not so very happy about the political climate...and "A Face in the Crowd" could not have been more prescient, 60 years ahead of its time! 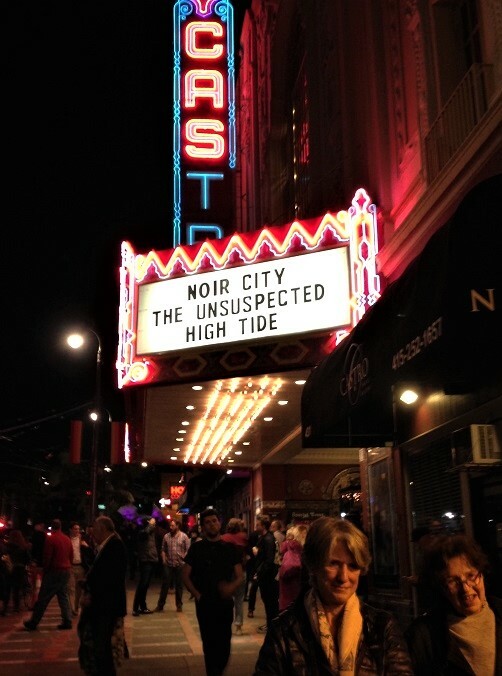 It's great to have this Noir Festival at hand, but then to have it so popular is a mixed blessing when you can't get in. I haven't seen The Ususpected, so thanks for the review Lady Eve. Glad that Curtiz is finally getting his due, as is "The Face in the Crowd." That Andy Griffith didn't get an Oscar is one of the biggest misses in Academy history. I can tell you, Christian, that in the future all tickets to Noir City SF will be purchased in advance! We're in total agreement about Andy Griffith deserving an Oscar for his performance in "A Face in the Crowd." A real tour-de-force and the performance of his lifetime (lovely as he was the sheriff of Mayberry).